I felt compelled to share this image - the first one to surface from a performance on Wednesday, November 8th here at Georgia Southern University. 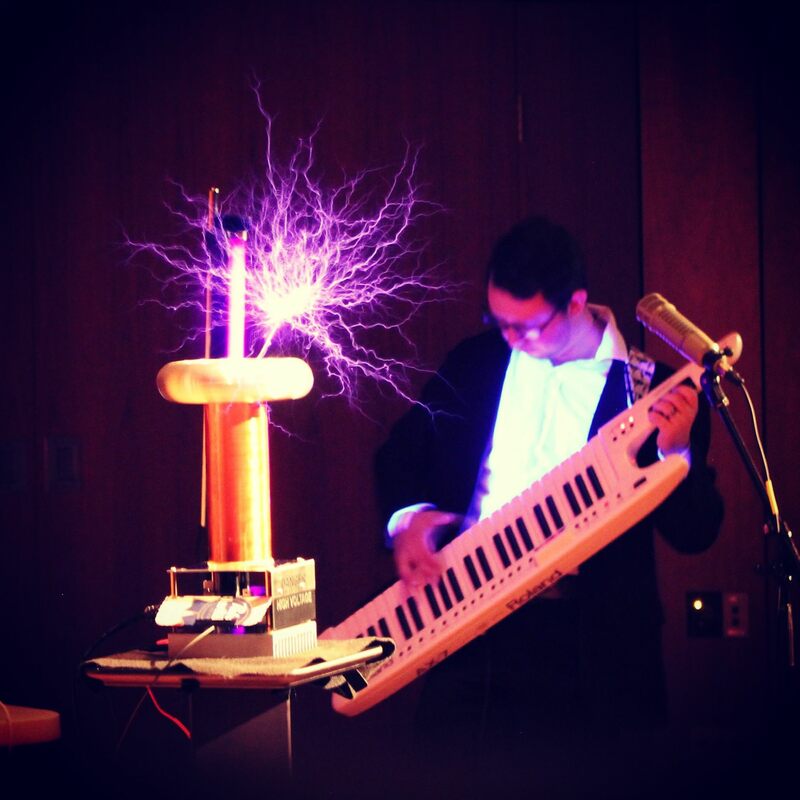 I performed a synthwave piece I wrote with live elements called 'Future Knight', which included playing a live Tesla coil (the OneTeslaTS) using a Roland AX-7. It was well-received!